Bingo Of Lakewood, How Do you Understand This? "One minute of your time." Re: Bingo Of Lakewood, How Do you Understand This? "One minute of your time." It's not just a store. It's Israel. ALOL, take a peek at this picture, that very quote is written on the coffee itself. Free advertisement = Worth giving the coffee away for $6.99. Soon we will get headlines "Bingo Removes 'No Shticks No Tricks' From Its Code of Conduct"
In hebrew you just need to add a comma. Lo Kasher should be read as Lo, Kasher! No tricks should be read as No, Tricks! Except that the sign says the regular price is $12.99 each. That's what turned me off, if im not getting the sale price where they getting the $89.90 from? And why does trhe register ring it up as $6.99 but then when it does x 10 it's math is a bit off. 2 x 6.99 + 8 x 9.49 = 89.90. Maybe it's קנס if you buy more then the sale allows we won't only remove the sale price. But charge you $8.99 each one. Yup. Just had to install a few split AC units in an apartment in Israel. Ordered from kerenby.co.il which advertise basic installation included (up to 2 meters of tubing). When installers came they told me that a standard installation over a window is 3 meters. Was still a decent deal, but it was a classic of "no shtick" - they clearly say that basic installation includes only 2 meters of tubing. Dan your hired for their sign makings! Time for a meaning of B-I-N-G-O..
B represents? I? N? G? O? 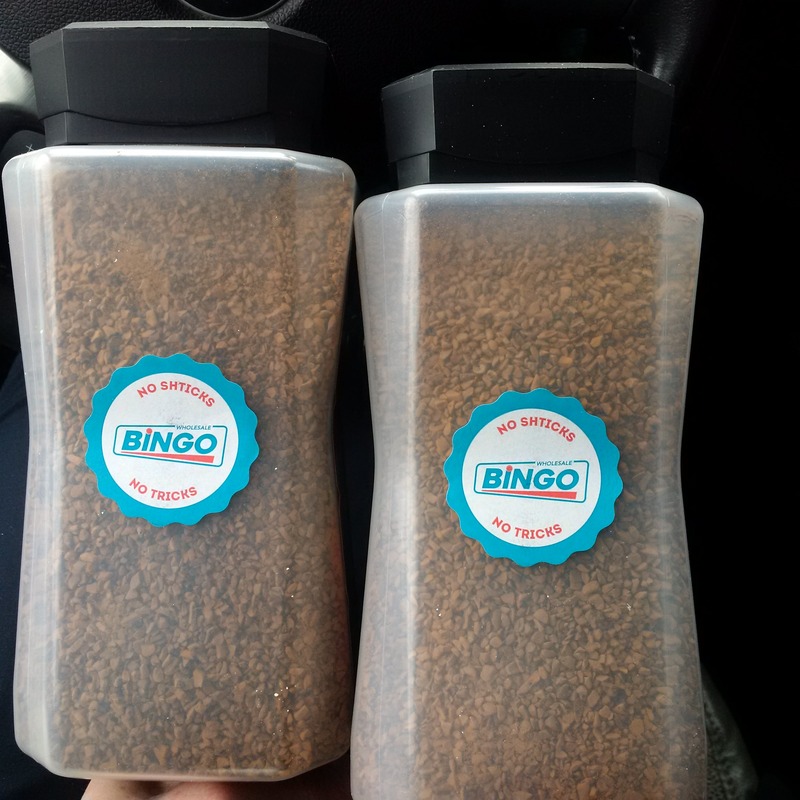 Bingo has sale prices and members only prices. Ime generally the sale prices are not limited to quantities but the members only prices are. Furthermore, the sale prices are what you pay, and the member's prices act as dollars off. Therefore you got 10 @ 9.49 and 2*2.50 off. Perhaps it's 6 x 6.99 + 4 x 11.99 = 89.90. Well explained. But I read "limited 2" as sale is limited to members only. How could limited 2 mean only 2 per person. And not only that, they went and highlighted it to look like one sentance. Limit of 2 per member. Not understood from the way they worded the sign. Now they reciept shows $6.99 sale price and so does the checkout show $6.99 sale price, but if you do your math then right away you will realize they have something rung up wrong. Many people had between 2-5 jars, to bad they will pay the regular price and not the sale price, they will never know that they're not being charged the sale price! If they substituted the word "to" for "2" you would complain equally as much about how unprofessional that was. There's clearly a missing comma although I read it as two separate things either way especially since it was on separate lines. Everyone makes mistakes, in this post you have a whole bunch of them. It seems to be 2 at the members price and the rest at the sale price plus tax. Makes perfect sense to me, although I'm biased as I'm not actively looking to hate anything remotely associated with Israelis or Israeli culture.